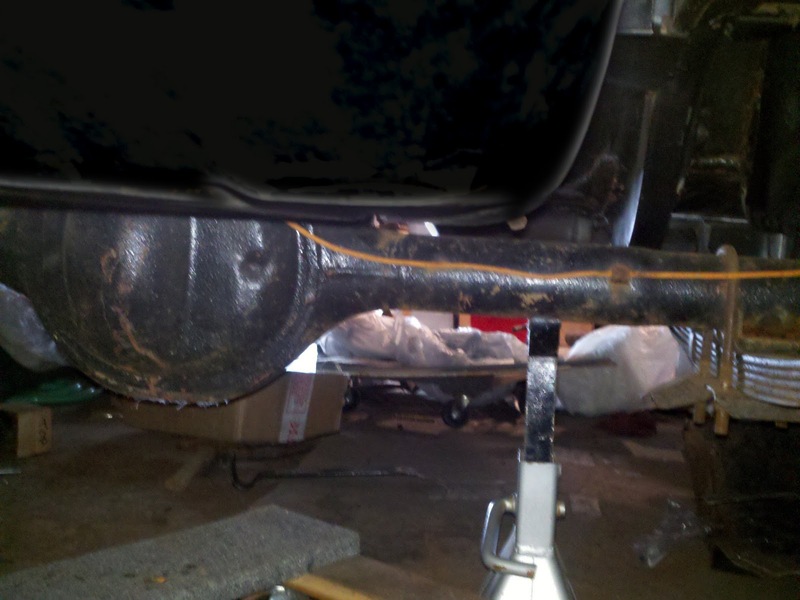 The old strut rod mount and sway bar bracket had to be removed and the new sway bar mount installed in its place. 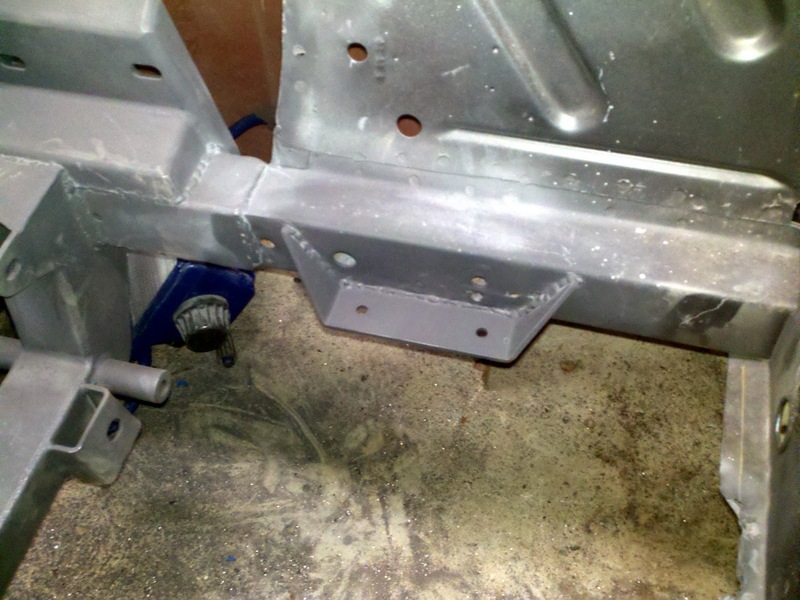 This requires drilling out 13 or 14 spot welds on each mount/bracket and separating the parts from the frame. Sounds easy but if you dont cut all of the welds or miss a little bit, the task is a real knuckle buster. I did eventually get the old parts off but not without cutting the parts a little to make the job easier. The new Total Cost Involved sway bar brackets were pretty easy to install. I just cleaned up the area with the grinder, clamped it in place and welded. 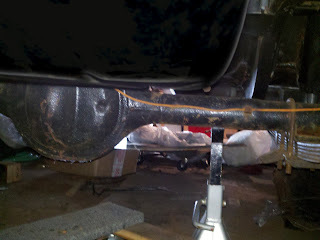 Welding was easier since I only had to attach the 3/16" thick bracket to thick sheet metal frame rail. While the primer was drying, I finished installing the rear end. Always nice to see some more parts installed. Its starting to look like a car and will be on four wheels soon.